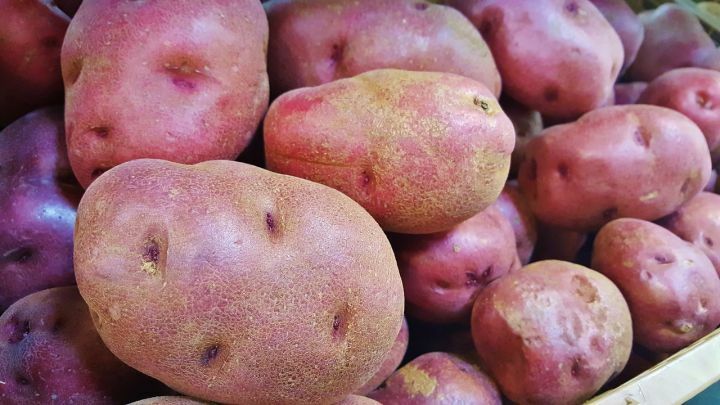 A red/pink skinned potato. Excellent eating potato. It is more dense than other varieties so requires a little longer cooking.